4 out of 5 dogs suffer from Oral Disease by the Age of 3? According to the American Veterinary Medical Association (AVMA) the number one problem to oral disease is gingivitis. As a result, dogs may be at risk for some of the same problems that chronic infection can cause in people, including heart, liver, and kidney problems. This innovative brush minimizes signs of gingivitis and bad breath. 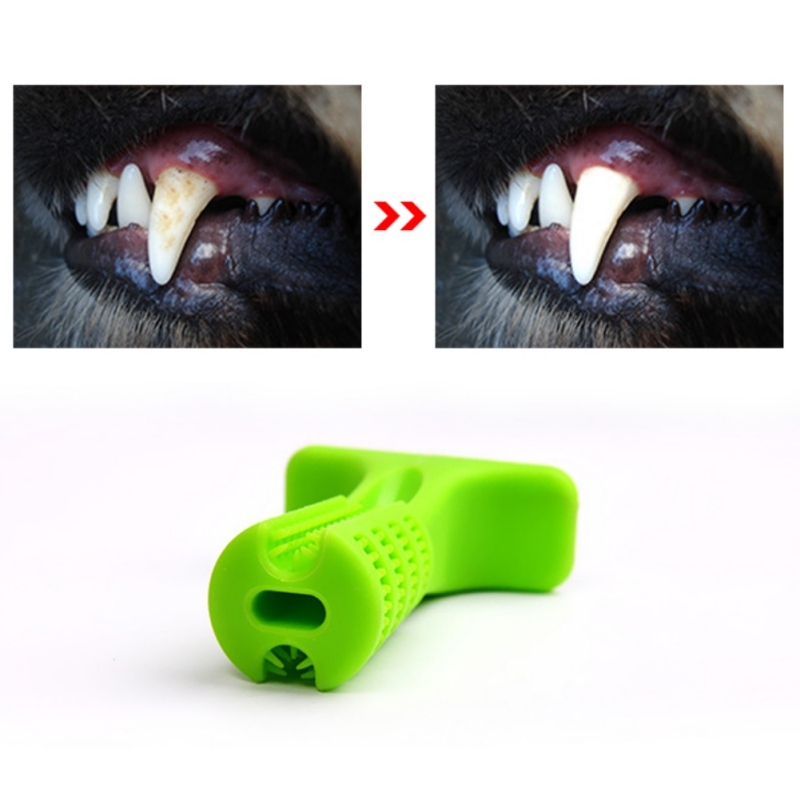 It will clean your dog's teeth while they bite and play with it, making it stress-free for the dog and effortless for the owner. Use the Dog Brushing Stick with toothpastes to eliminate tartar/plaque and for fresh breath! Let your dog brush daily for 5 minutes. 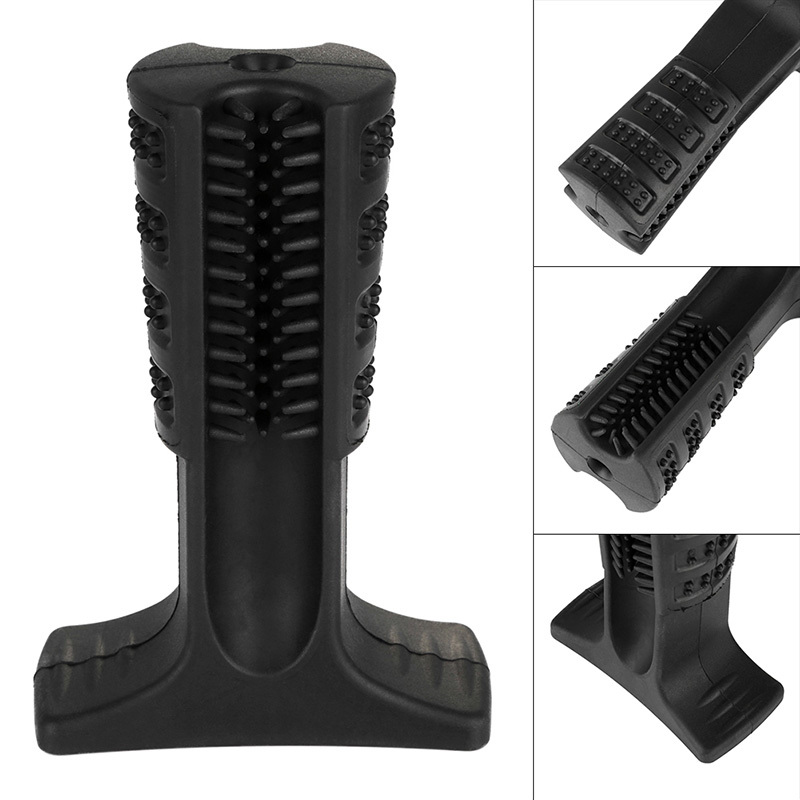 This natural rubber dental chewing brush will have your dog cleaning his own teeth. 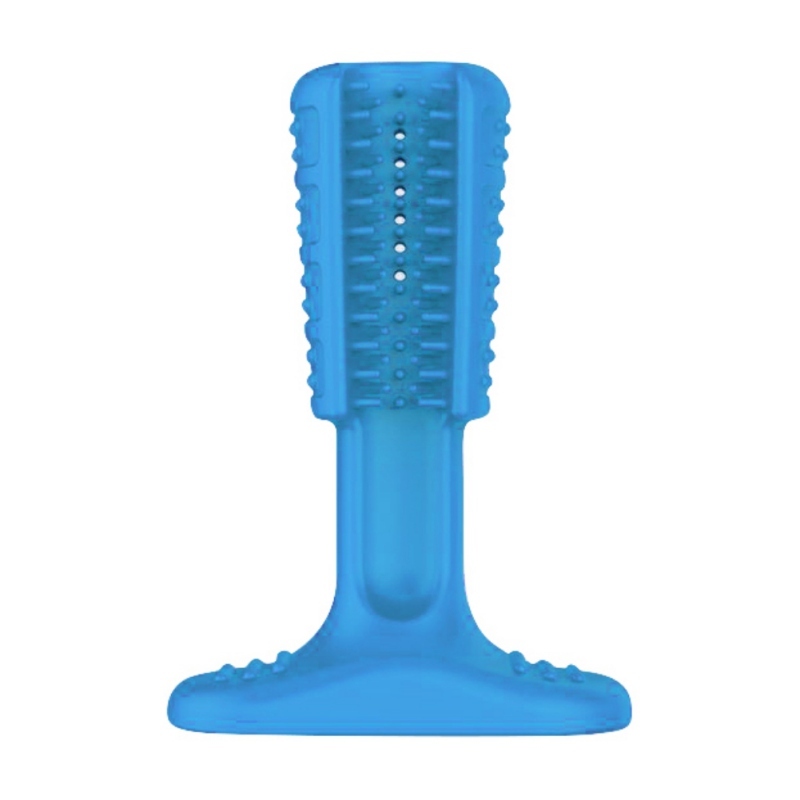 Designed to let your dog chew instinctively and enjoy the feeling, so it becomes an easy tooth cleaning routine. It is especially good for cleaning hard to reach back molars. Watch your dog bite and play the plaque away!